A Rabbit with a snail. So, taking the Rabbit is boring, even if driving it is never boring. I came across a deal for a MK2 GTI. 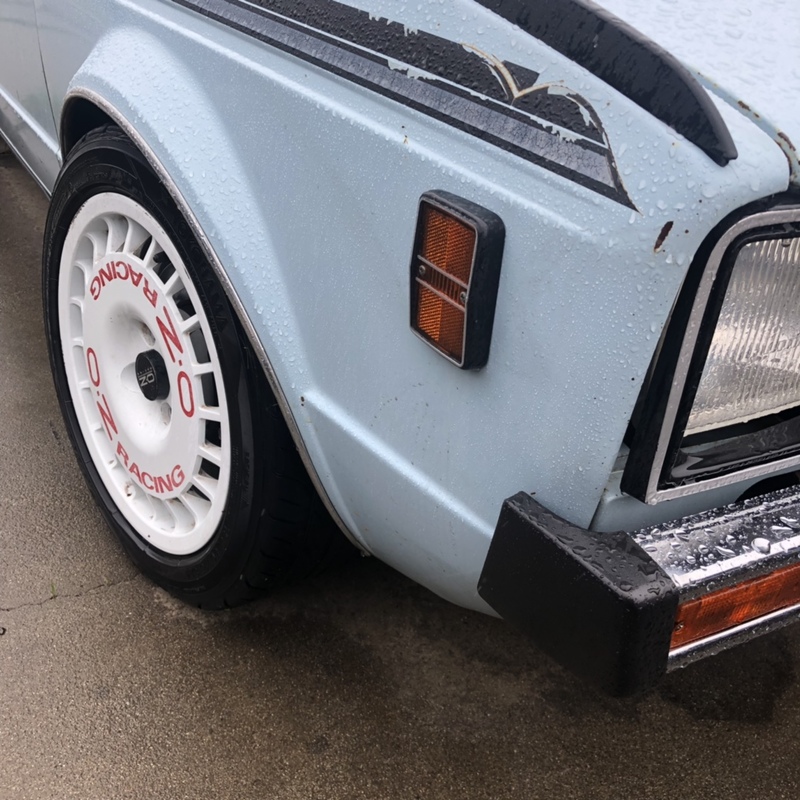 It was cheap, but had “electrical problems.” Sounds like a great project to get together for a car show 8 hours drive away, and only 17 days away. On arrival, the GTI didn’t start with no spark. About to make an offer, opened the oil cap and see the dreaded milkshake of a bad headgasket. 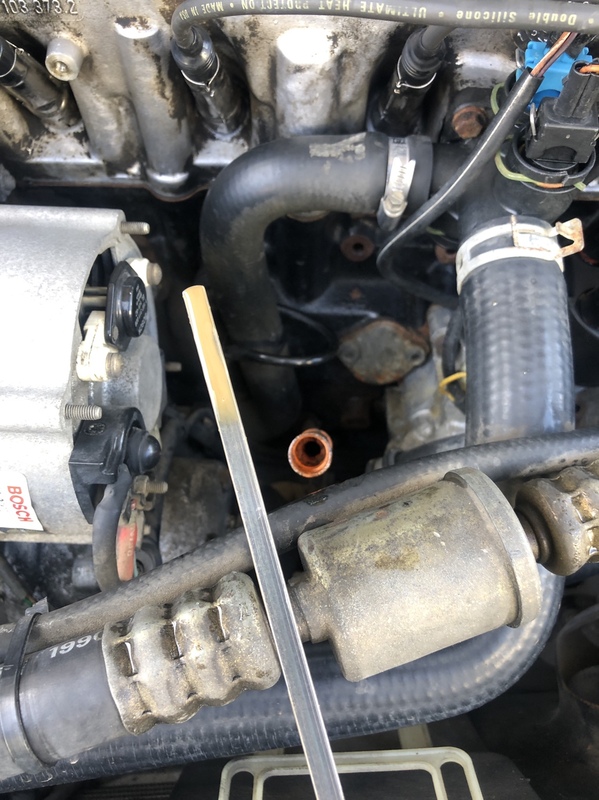 Checked the dipstick, the oil was still good in the sump. Managed to make a deal for the GTI for just over half what I was going to offer before I opened the oil cap. 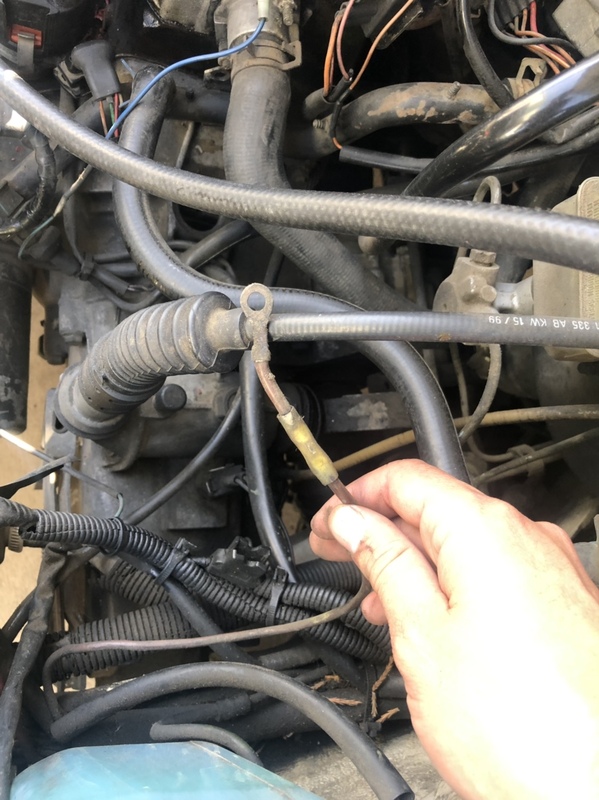 Once at home, tracked down the electrical problems to a bad ignition switch and a disconnected ground. Now starts on the first crank, AC blows cold, and all the gauges appear to work. Ran it down to the local coin op car wash to give it a little wash. Impressions: too low, too slow, and mk2s feel like home. At home I pull the dipstick. Well, looks like the head is coming off. 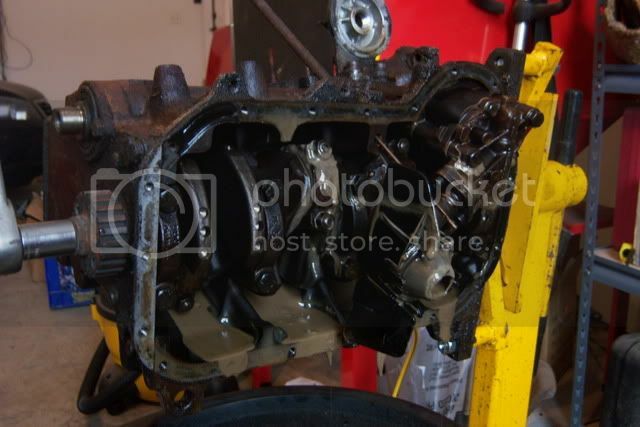 I already ordered a head gasket and head bolts. Started pulling the head tonight. So far: stripped out intake manifold bolt heads, and seized downpipe bolts. Hopefully WD40 will work it’s magic on the downpipe bolts, otherwise I am going to have to cut the downpipe at cat. In for updates! Best of luck to ya! Gonna drive it as is or do some period correct mods? Are you driving to Vegas? We drove one year from Fresno and the car broke down in the Mojave. We had to sit tight till a recovery vehicle arrived. Not fun in the middle of the day when the air-con is down. We got to Vegas eventually. And refuelled on cheap drinks and cheap steak. All was forgiven, but not forgotten. The NATO garage: 3 British, 2 German, 2 American. Fun! Nothing like a little time pressure to give your project a boost, Good luck with it! Nothing shifts the sale to a buyer's market better than milkshake oil. Good luck with the build. Keep us posted. I love these rebuild threads. Otherwise, just clean it up. I did have the Techtonics Tuning website up, looking at a cam, short shifter and a window banner. Yep, driving. Which makes the whole sevent... wait, now sixteen days a bit more crazy. Thankfully it drove pretty well, so hopefully no extra surprises. A few more cheap drinks would have fixed the remembering. Pedantry: winning arguments through exasperation since 1651. An Old World Tradition! I'm assuming you're going to have the head checked for warping or cracks? It's so hard to get stuff like that done here where I live. I have to drive at least 4 hours to get that done. Yah, gonna take it to a machine shop. Fingers crossed the head is good. If not, its swap time. Happened to me once on the old JH motor. Cracked block? Yikes. Though, that’s an excuse to go 2.0 bottom end. Good luck, man. Looking forward to rest of this. I wish I didn't live in density jungle and have space for projects like this. In for updates. This is cool. My milkshake brings the head to the machine shop. Also, noticed an interesting color in the coolant passages. 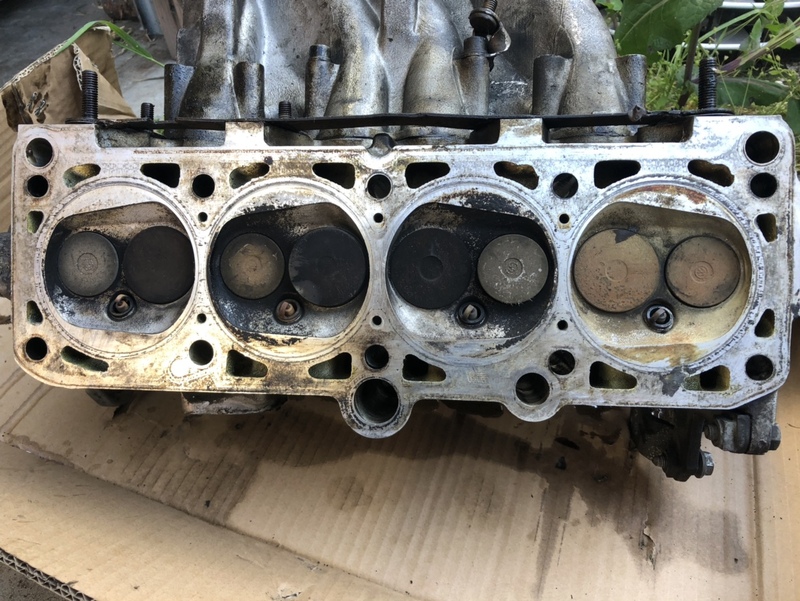 Guessing it was headgasket in a can. Still wasn’t able to separate the downpipe. I was advised to attempt the downpipe to avoid stripped out/broken studs in the head. The 8v in the MK2s is a counterflow head, so the intake and exhaust are on the same side. 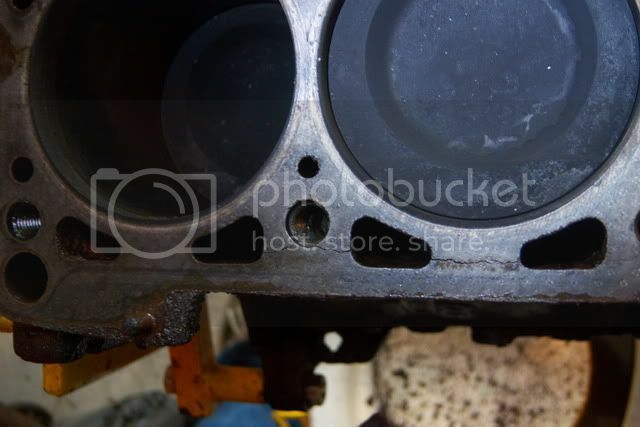 Since there was already stripped out intake manifold, access was poor to the exhaust. I pulled off all 8 bolts with no issue besides some skinned knuckles. Pulled the head bolts, head is now free. Or not. Turns out the two inside upper exhaust manifold studs were double nutted. Of course, they were the worst to get to. Spending more time than it took to take off the other eight, I got the final two nuts off. Cylinder one looks steam cleaned. I am new to machining heads, hopefully there is enough meat to remove the burned through area, and whatever the JB Weld is hiding. Bonus shoutout to Knipex pliers. 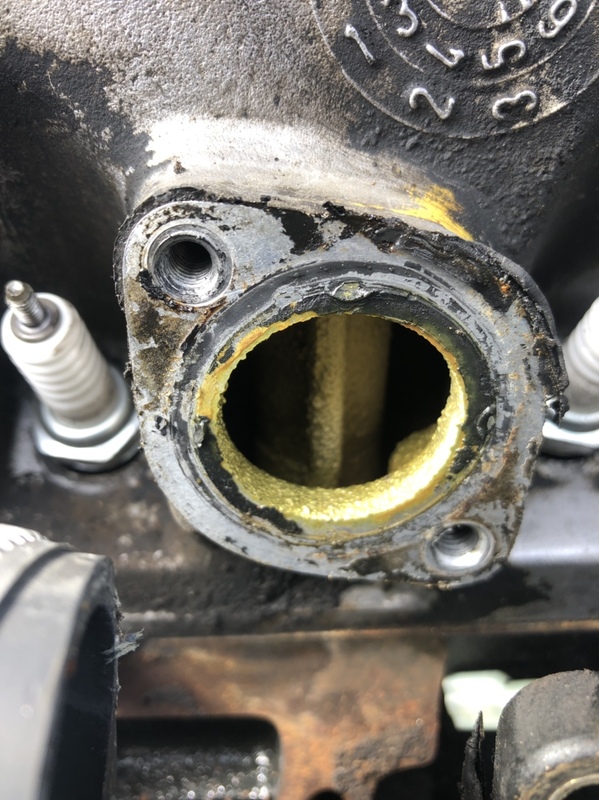 The stripped out intake manifold bolt came super easy once I had decent access. These things I use in my day job, and are well worn, but they still grab super tight. Cold AC huh? Need a driving buddy to Radwood? I'm tempted to run out there as well. I'm sure the boys could always use an extra hand. Driving While Awesome Podcast. Give it a listen. SoS - please shoot a message when Brendan & His Retarded Sycophants has another gig. I’ll be there, front row. My wife will be riding shotgun, but I would be willing to let the rental car run interference. :wink: The way out is going to be the boring way, I think. It rubs pretty bad with the current wheel setup, but the plan is to run OZs. The tires I have for them are rabbit sized, so it may be a fat car with little tires. Doesn’t quite roll off the tongue like fat guy in a little coat. Last edited by Bad Rabbit Habit; 04-12-2019 at 10:34 AM. In for updates. Find something for RADwood Detroit. Oh wifey is coming! Awesome! I’ll see who else is rolling out and hop in with someone, or I can set cruise control in the SS and run block for you. Dropped the head off at the machine shop. I got a “maybe” that the head is salvageable. Fingers crossed. Can't you buy a head at a boneyard? Mk2's aren't at the yards anymore. Mk3s are barely at the yards. 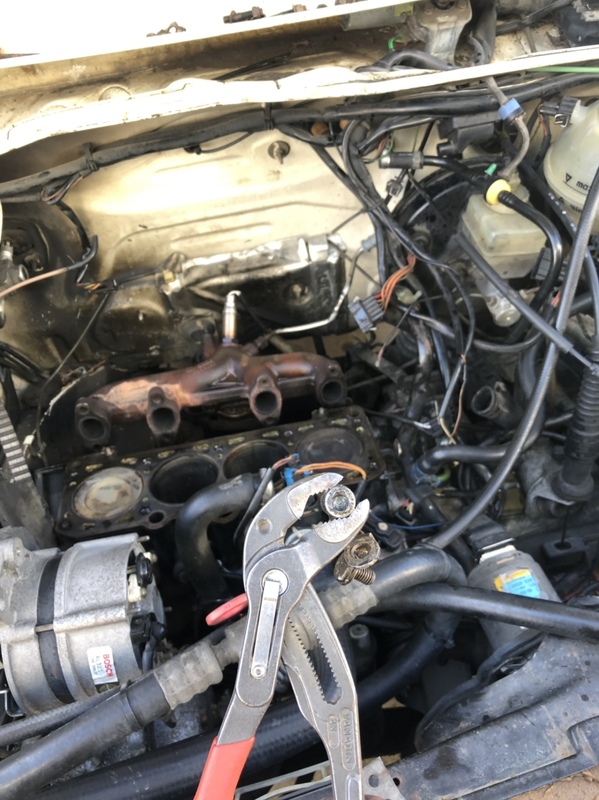 If the head is junk, and I can't find one semi-easily, it is going to get a Smog reffed 1.8t. 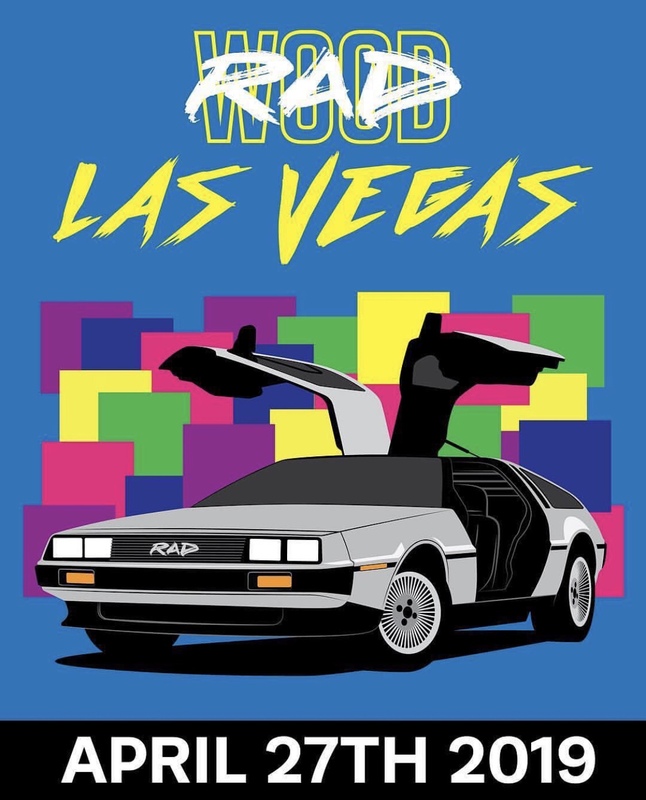 Who all is coming to Radwood Vegas? If any TCL regulars will be there, I can make sure that I attend! this is due to your inexperience with performance driving . . . you really do have to take a car to a performance driving event, track day, autocross, ice race etc to get a feel for how a car actually performs. and you have to have the knowledge and skill to be able to manipulate the car in such a way as to get it and keep it at the edge. If I end up out there I'll shoot you a text. Any DJ's going to the DJ expo in Las Vegas next week? ?